The museum will be closed until the end of May 2019 due to reconstruction and renovation. The outside facilities can be visited at any time. A life of persecution and expulsion is more concerned with finding places to hide than to leaving behind visible monuments. But the Menno-Kate is an exception – a place where the Anabaptist spirit of the 16th century can still be felt. Although hidden among tall trees, it is clearly visible on the outskirts of Bad Oldesloe. Originally it housed a print shop, where the writings of Menno Simons were reproduced, including the second edition of his Foundation Book, but also a treatise against the Reformed leader of Emden, Johannes a Lasco. Menno Simons may have lived temporarily in the cottage. Most certainly he spent his last years, after his expulsion from Wismar in 1554 until his death in 1561, among a circle of Anabaptists who found refuge in the nearby village of Wüstenfelde that belonged to to the Fresenburg Estate. The Menno-Kate cottage is constructed out of field stones and old-style bricks rendered in white. 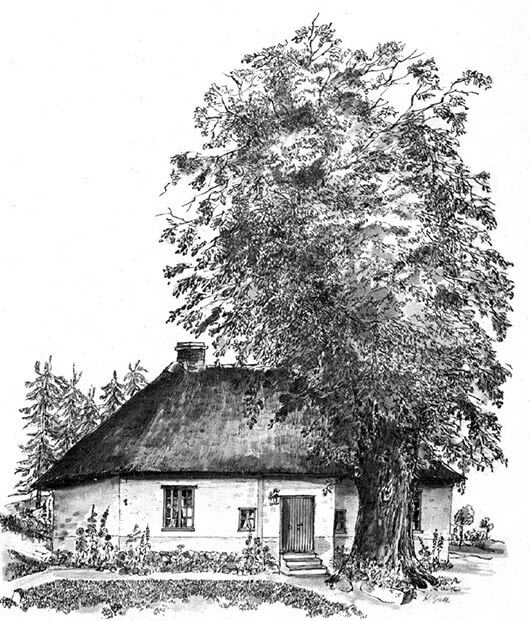 The cottage and the linden tree at the front are both protected monuments. The linden tree is supposed to have been planted by Menno Simons himself. It is not entirely clear if the cottage stood in its present location in the 16th century as the village of Wüstenfelde was destroyed in the Thirty Years’ War. However, it is possible for visitors today to feel close to the namesake of the Mennonites in the surroundings of the linden and beech trees near Bad Oldesloe. 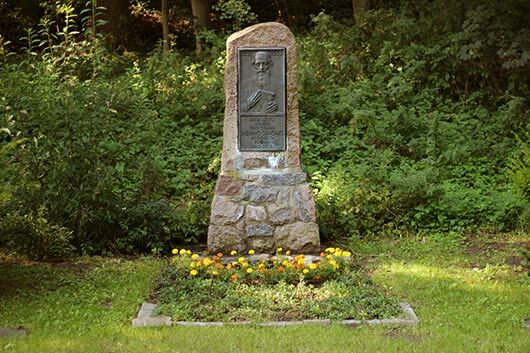 Already in 1902 a memorial stone to Menno Simons was laid. Near the memorial stone a beech tree was planted in 2012, which symbolizes the recent reconciliation with the Lutherans, overcoming the legacy of persecution and enmity starting in the Reformation period. 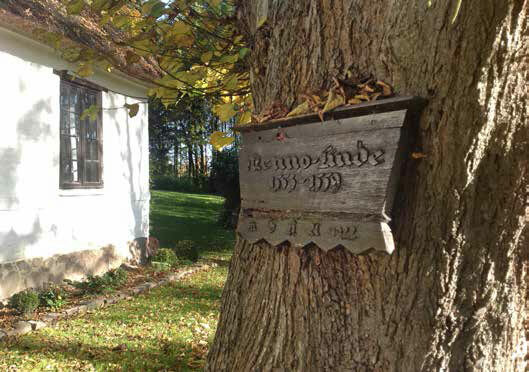 In 1961, due to fortunate circumstances and cost-effective personnel arrangements, Mennonites in Germany were able to turn the completely rundown cottage into a Menno Simons Memorial. Georg Isert, a refugee from West Prussia, was an administrator since the 1950s at the Altfresenburg estate and Otto Regier, member of the congregation in Lübeck, was active in the administrative office of the Segeberg district. Both took up the initiative in the late 1950s, and made the renovation of the old cottage a matter of concern. 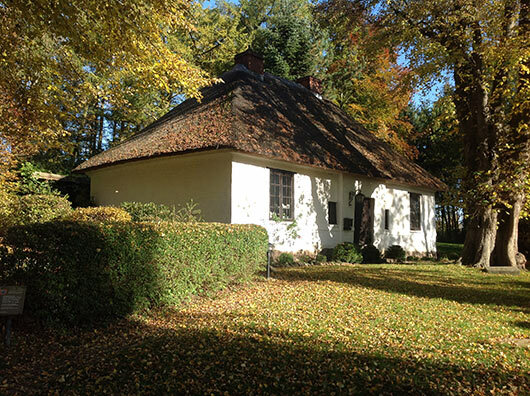 In 1960, the German Mennonite conference (Vereinigung der Deutschen Mennonitengemeinden) was able to lease the cottage and the adjoining land from Baron von Jenisch. Since then, much work from Mennonite volunteers has been invested in the project. Teenagers spent their weekends helping Pastor Hans Werner Rempel in the renovation work. Likewise, it is thanks to Otto Regier that a museum was developed in the cottage, where the visitor can find writings of the Mennonites, certificates of Menno Simons and pictures and maps showing life of Mennonites from the Netherlands, Germany, East and West Prussia and Russia. The preparation of the rooms in the museum was carried out in 1962-1963 and it was possible over time to accumulate books and writings by (only as reprints) and about Menno Simons and the Mennonites. 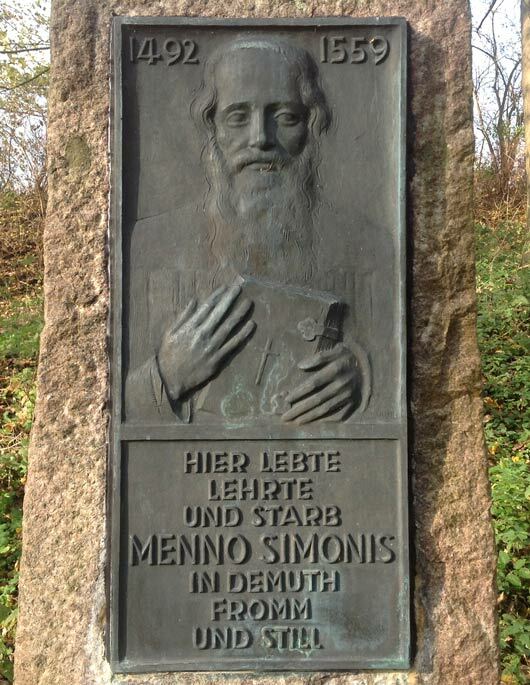 Maps, engravings and pictures bring to life the birthplace of Menno Simons and the places where his influence was felt. Additional material provides information about the history and spreading of the Mennonites. Menno Simons was one of their most significant teachers and preachers. There is a memorial stone dedicated to him next to the Menno-Kate. The area around the cottage and the memorial stone can be visited at any time. To view the museum please arrange an appointment by telephoning the new number 04531-894656. Since the 1960s the Menno-Kate (cottage) has been looked after by residents who have also conducted guided tours of the museum and cottage, in addition to managing the grounds. 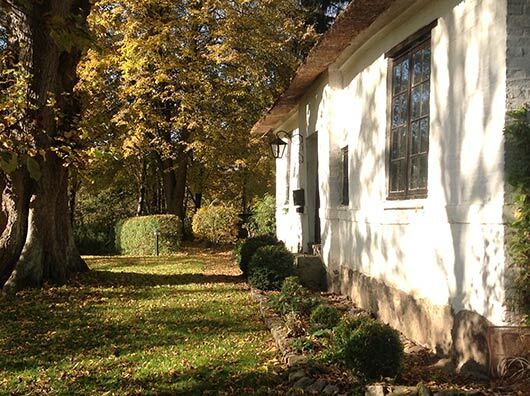 Both the linden trees, that were probably planted by Menno Simons, and the cottage are under heritage conservation, which involves various duties. The Mennonite Historical Society is responsible for the Menno-Kate. In terms of institutional and practical maintenance however, the Menno-Kate is supervised by a committee comprised of members from Hamburg and Lübeck. However, the Menno-Kate does not simply represent the tumultuous fate of the Anabaptists in the 16th century; it has also become a place of reconciliation. There is a beech tree and a black cherry tree standing next to the Menno-Kate, which as tree #129 in the Luther Garden in Wittenberg, represents a sign of reconciliation between Mennonites and Lutherans. The Menno-Kate attracts many visitors every year from all over the world who are able to experience a sense of the Mennonite- Anabaptist spirit of the last years of Menno Simons’ life. The cottage is currently facing major challenges. Necessary refurbishment of key aspects of the building, particularly the roof and the masonry of the cottage, will only be made possible through substantial donations. In addition to these repairs we also intend to modernize the museum.